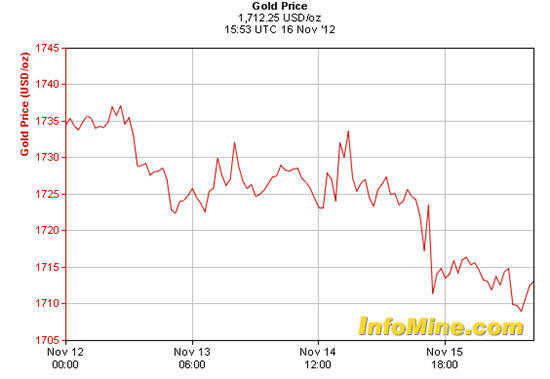 Gold is flirting with the $1,690 level as investors clamour for cash worried about the fiscal cliff, about the euro and about trouble in Israel. 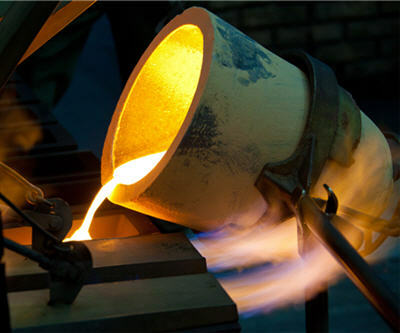 "Gold is being seen increasingly as a source of cash," said the head of precious metals at bullion bank Scotia Mocatta, Simon Weeks, in a post on Market Oracle. "Liquidation of gold can cover losses elsewhere." Since the start of the week gold has lost 1.28% or $22.20. Silver is off 0.80% to $32.32. And while gold is sliding the US dollar is up, gaining 1.56% against the Canadian dollar since the start of the week. Today debt talks in the US get underway between congressional leaders and the Obama administration. Palestinian rocket squads are firing on Israel after the assassination of Hamas' military chief.